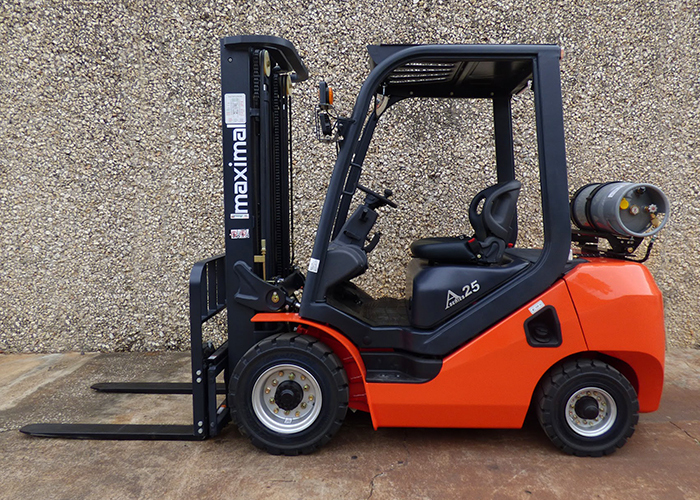 2018 NEW Maximal FGL25T-AWG3 Pneumatic Tire (no Flats) 5,000# base capacity, 196" lift, 3 stage, Cascade side shifter and load back rest, 42” class II pallet forks, Mitsubishi PSI 2.4L engine with dual fuel gas/ LP option, full floating cab for driver comfort, safety items: back-up alarm, flashing light , back up lights, rear spot light, stop tail lights, turning signals front and rear, horn, 2 headlights, safety grips for getting on and off forklift, seatbelt, rear view mirrors, NO PRIORTY SOFTWARE, PARTS ARE USA BASED. 60 month FMV lease $345 per month! 2018 NEW Maximal FGL35T-AWG3 Pneumatic Tire (no Flats) 7,000# base capacity, 188" lift, 3 stage, Cascade side shifter and load back rest, 42” class II pallet forks, Mitsubishi PSI 2.4L engine with dual fuel gas/ LP option, full floating cab for driver comfort, safety items: back-up alarm, flashing light , back up lights, rear spot light, stop tail lights, turning signals front and rear, horn, 2 headlights, safety grips for getting on and off forklift, seatbelt, rear view mirrors, NO PRIORTY SOFTWARE, PARTS ARE USA BASED. 60 month FMV lease $450 per month! 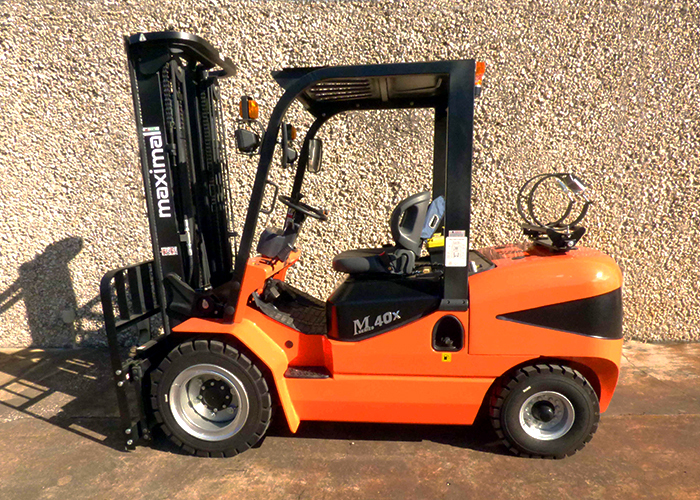 2018 NEW Maximal FGL40T-MWG3 Pneumatic Tire (no Flats) 8,000# base capacity, 188" lift, 3 stage, Cascade side shifter and load back rest, 42” class II pallet forks, Mitsubishi PSI 2.4L engine with dual fuel gas/ LP option, full floating cab for driver comfort, safety items: back-up alarm, flashing light , back up lights, rear spot light, stop tail lights, turning signals front and rear, horn, 2 headlights, safety grips for getting on and off forklift, seatbelt, rear view mirrors, NO PRIORTY SOFTWARE, PARTS ARE USA BASED. 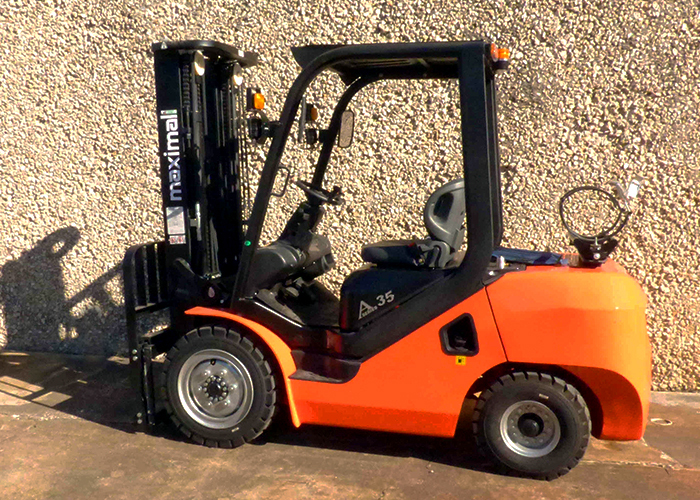 60 month FMV lease $470 per month!